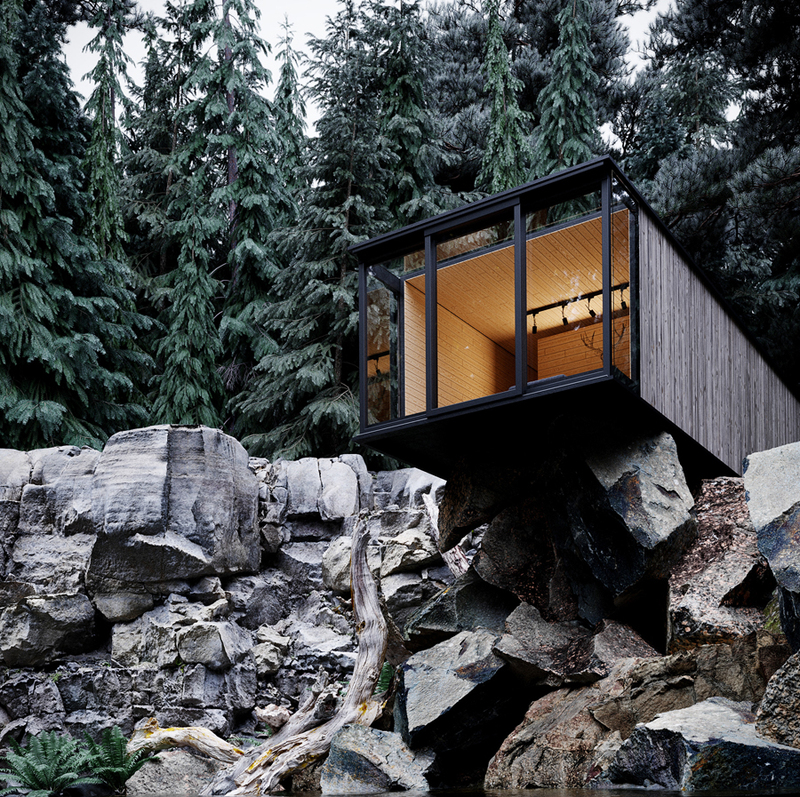 It’s difficult to decide whether a mid-forest abode should abide by the law of man or fall victim to the haunting, eerie nature of the uncharted wilds. 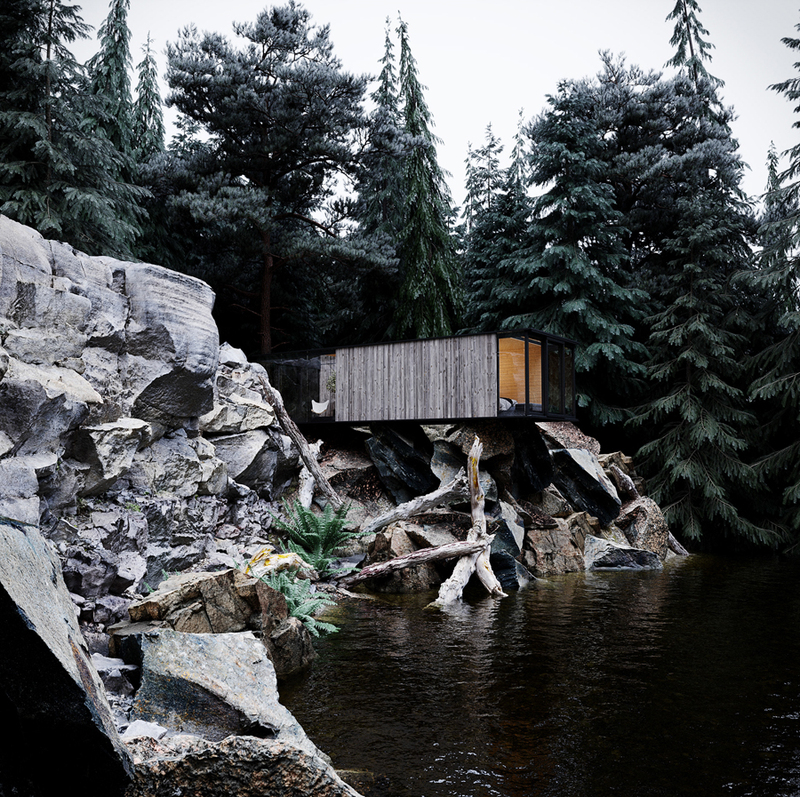 Luckily, Alexander Dimitrov has successfully adjoined the two aforementioned principles – bringing to life his own realization of what a secluded cabin should be. 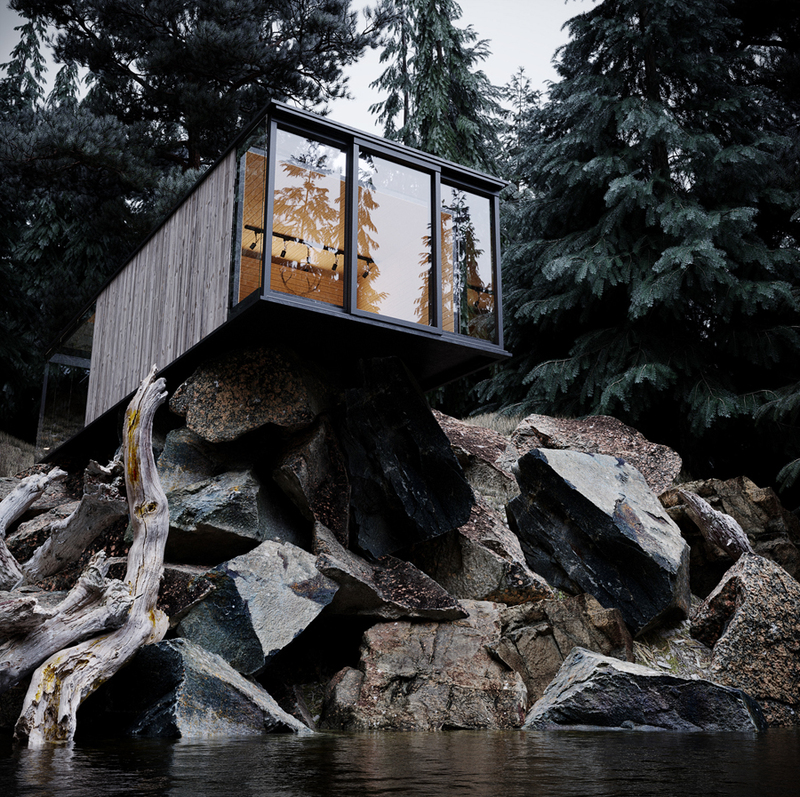 Nestled within a jagged outcrop of moss-covered rock, the artist’s stirring “House In The Woods” forbodes a dark, isolated existence – expanding subtly over shadow-strewn waters and providing an explicit view of the surrounding treeline via framed, geometric windows. An uncured, worn-wood facade adorns the exterior of the dwelling, demarcating the home’s rustic roots, while a sparsely lit and furnished interior provides a serene, melancholic atmosphere. 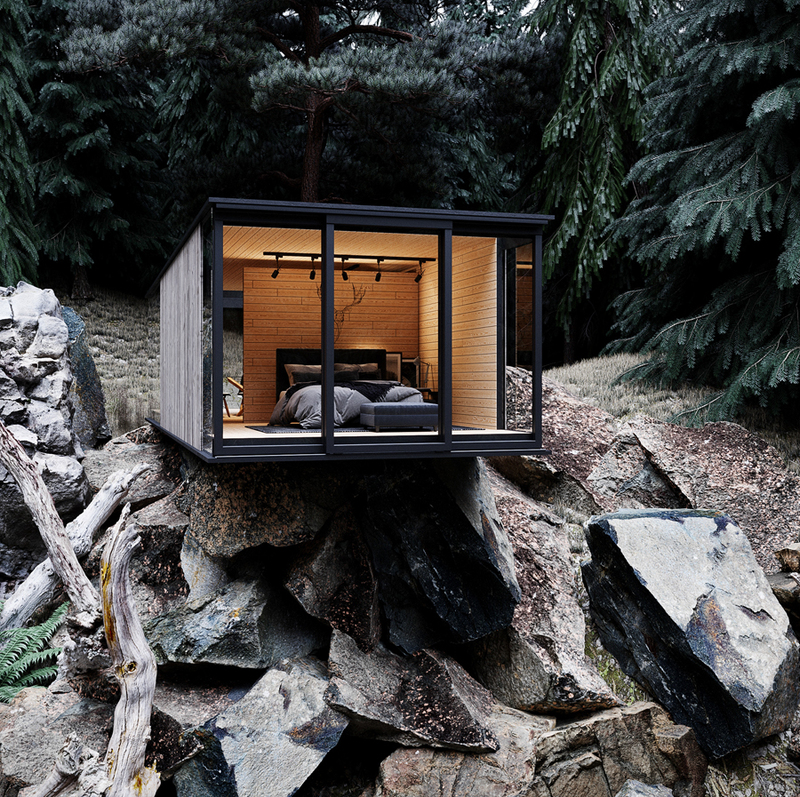 Dimitrov’s “House In The Woods” is merely the personification of nature’s untamed propensity to both heal and mesmerize – soliciting thoughts of mystery, disorientation, and introspective design.